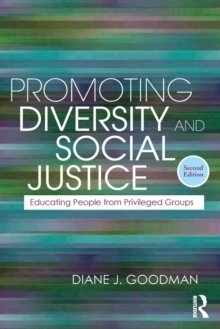 The concept of "standards" seems antithetical to the ways critical educators are dedicated to teaching, but what would "standards" look like if they were generated from social justice perspectives and through collaborative and inclusive processes? 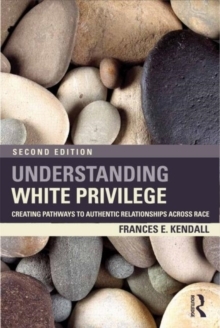 Such is the central question posed by the contributors of this groundbreaking collection on the interconnectivity of social justice, peace, and environmental preservation. 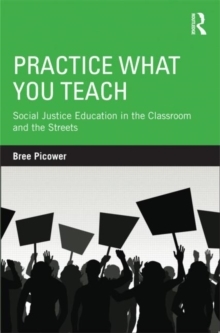 Challenging education that promotes consumerism, careerism, and corporate profiteering, they boldly offer examples of a new paradigm for practicing a transformative critical pedagogy. 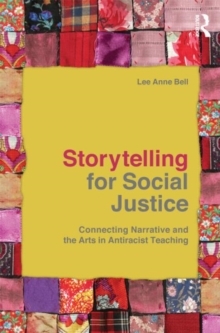 Rather than just talking about coalition building within and across educational communities, they demonstrate how we might communicate from different vantage points and disciplinary boundaries to create a broader picture of social and eco-justice. 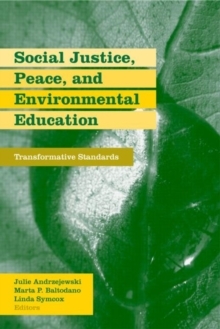 Social Justice, Peace, and Environmental Education will be required reading for educators and students who want to envision and practice living, acting, and teaching for a better world.